This quote above tells it exactly how I feel lately!! I was lucky enough to be selected to take part in the ZNet Shows summer challenge with the theme of Summer Days & Nights. I was delighted to receive my package from ZNet which had the most awesome selection of sea glass! 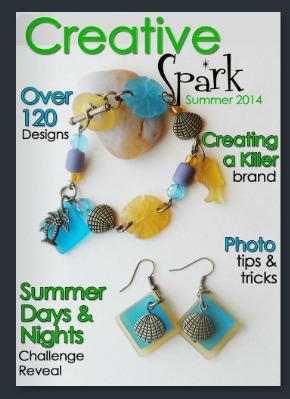 If you can't visit their blogs, you may want to check this summer edition of Creative Spark. It's a great piece of inspiration and all the ladies' creations are in this issue...along with lots of other fun tidbits! And so, without further ado, I want to share what I made from my awesome haul! Here was my casual set...I have already worn this bracelet and earrings a ton - orange is my favorite color!!! I knew when I saw this strand of orange "pebbles" that I wanted to do something with free form beadweaving and this is the result! 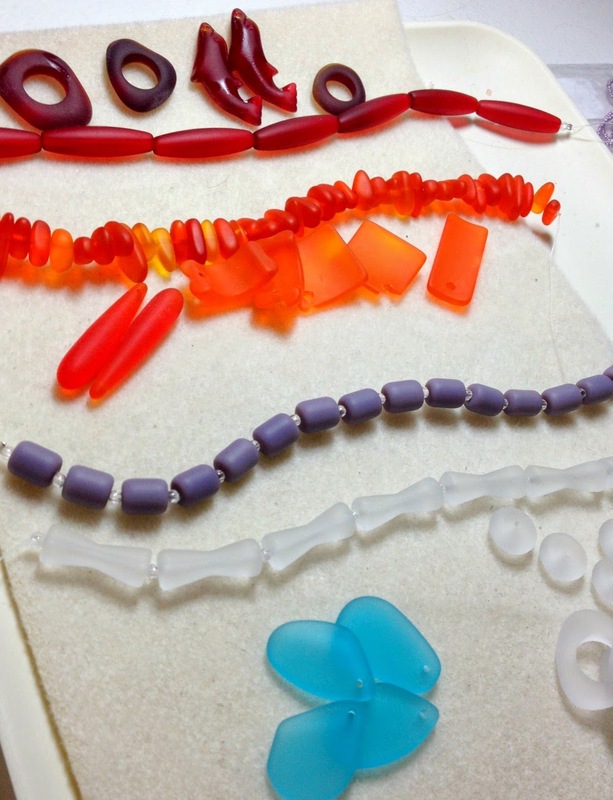 I currently have the purple cylinder beads on my bead table and am working them up with some super shiny, purple charlottes....I can't wait to see where that piece will go! In the meanwhile - here are the links to some of the products in my Summer Days & Nights pieces if you are interested in checking them out. Very pretty frosted beads! I love those kind. Amy, great inspiration, weddings can be so fun to make designs for, your necklace is lovely. I think your bracelet turned out quite yummy too..oh and your matching earrings on both are very sweet.. Glad you got things up and running again..I hate it when those things happen.. :-) maybe photograph the necklace on a mirror and not use a flash if possible??? maybe even a smoked colored mirror??? All's well, I'm glad you got to reveal your pieces here too. As for the shiny glass pictures, I have no clue. I'm still trying to get my pictures just how I want them. I think the red background worked out really well for that set and I wonder if a matte black would work well too. Your orange set is also really lovely! I'll keep my eye out for more photo tips for you. oh I hear ya on the white for photographing! not so easy ... but great idea to use red as the contrast. Really beautiful pieces - I especially love those sweet tear drop earrings! 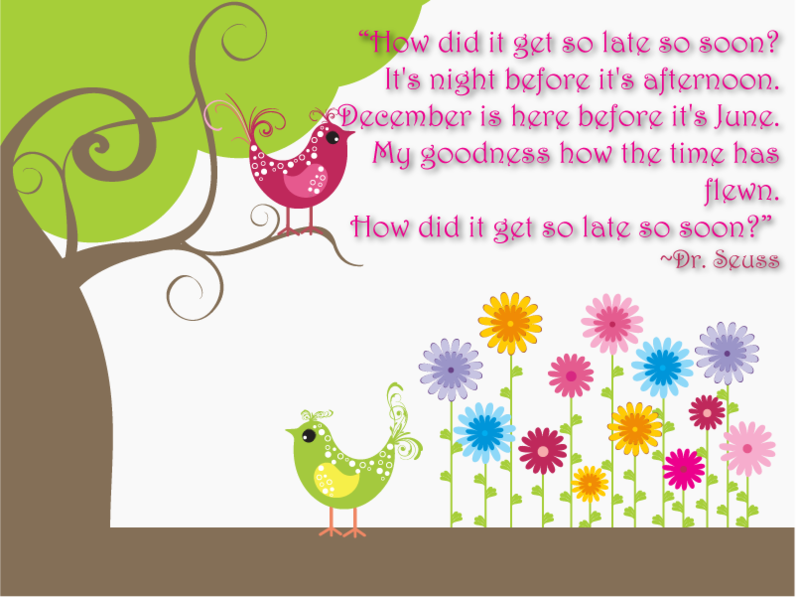 Late is better then not at all. I love both sets both are so beautiful and perfect for summer. 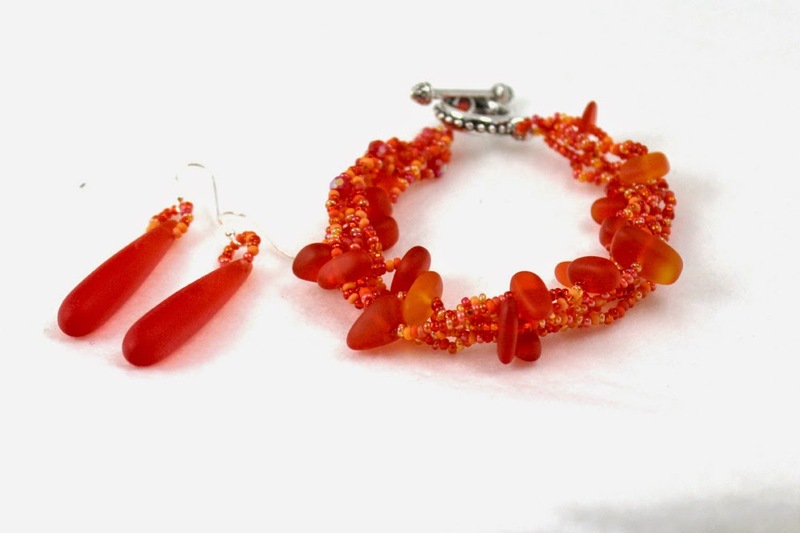 The bracelet and earrings remind me of Fire Opal just gorgeous!